Bangalore: Can you believe it? This was our slum. We lived just there. Now it is business, apartments, call centres...," says Salim, a character in the Oscar-winning Slumdog Millionaire, of Dharavi, a 535-acre shantytown in Mumbai. “India is at the centre of the world... And I (pointing at the slum) am at the centre of the centre..."
Click here for a narrated slideshow about Dharavi, Asia’s biggest slum and the backdrop for Slumdog Millionaire. Such references in the 2008 film are to the ongoing transformation of one of the world’s largest slums, located in India’s financial capital and home to some 85,000 people. So, when professors at the Boston, Massachusetts-based Harvard Business School (HBS) decided to teach Dharavi as a case study on public-private partnership in slum redevelopment with a focus on the government’s role in creating a business environment, it helped that the 150 students in the master of business administration programme could easily relate to the slumtown from the movie. The Rs15,000 crore Dharavi redevelopment project—which aims to transform the giant slum into a self-sustaining urban community with residences, offices and business opportunities—was a natural choice for a case study. According to an HBS research, in 2001, an estimated 924 million people lived in slums across the world, 60% of them in Asia. 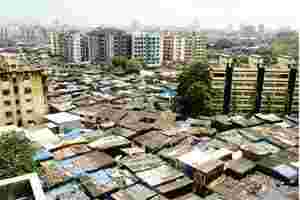 Mumbai, with 49% of its population living in 2,000 slum pockets, had the largest absolute number and the largest proportion of slum dwellers in the world. And Dharavi was Mumbai’s largest. “The case study has thrown up many debates and discussions in class," Lakhsmi Iyer, assistant professor at HBS’ business, government and international economy section, said in a telephone interview. “Some students said Dharavi is a great business opportunity, some questioned if the project is doable and some questioned if all stakeholders including slum dwellers were on board." Iyer worked on the study with John Macomber, lecturer, HBS and Namrata Arora, a researcher at HBS India Research Center in Mumbai. The 25-page HBS study calls Dharavi an entrepreneurial slum despite the illegal status of most of its settlements. The Centre for Environmental Planning and Technology, an academic institution in Ahmedabad, Gujarat, had said Dharavi has close to 5,000 informal businesses producing goods worth $600 million (Rs2,730 crore today) annually, the study said. The study also looks at the project’s biggest uncertainties, such as the fear of forced eviction among the people living there and the need for resettlement and free housing. There are effective global references in slum development as well, said Iyer. In the Kibera slum in Nairobi, the government brought in private developers to upgrade slums and in Mexico, developers created an innovative mortgage scheme for workers in the informal economy to develop slums, she added. The Dharavi case study follows another India-focused study HBS did in 2008—on the topical issue of special economic zones in India and the associated land acquisition problems. Dharavi is interesting because it asks several questions, said Arora. “Land rights is an important issue and in Dharavi, questions like (the) government’s ownership of land, role of the private sector, who has larger interest in Dharavi’s development, and interests of slum dwellers come up." The study took nearly three months of research and interviews with people close to the project such as architect Mukesh Mehta—the man behind the project, slum dwellers, non-governmental organizations, and Dharavi Development Authority’s chief executive Gautam Chatterjee. In the past year and a half, the much-delayed project has slowed further with more bidders opting out. The global downturn left a direct impact —the defunct Lehman Brothers Holdings Inc. and Dubai’s Limitless Holdings exited and their Indian partners such as Housing Development Infrastructure Ltd couldn’t proceed by themselves. “Public-private partnerships in a project like Dharavi, where there are multiple stakeholders of the land, are challenging," said Chatterjee. “In Dharavi’s case, its people are the most important stakeholders...keeping their views out of the projects would be going wrong." There are seven consortia left in the fray from 14 earlier, according to a senior government official in the urban development department. The Dharavi authority has not officially announced the firms that will be involved in the project. There still is interest in the project among developers. “We are still keen in the project and that’s because we understand its potential. There are delays, but this is a huge project and there will be disruptions," said a Mumbai-based developer, who didn’t want to be identified because of the sensitive nature of the project. Two weeks ago, the sub-committee of secretaries in charge of conceptualizing and bidding out the project said the original five-sector development plan would stay, but the bidding would be phased out. Once the bidding process is done, Iyer and Arora plan to update the Dharavi case study with fresh information and data. HBS may also consider a second case study that offers solutions to questions raised in the first.